Radiation oncology allows me to combine my interests in patient care, neuroscience, and medical technology. Dr. Somu Suppiah is a board-eligible radiation oncologist who works closely with medical oncologists, surgeons, other doctors, and the MRO Care Team to carefully develop cancer treatment programs for patients using state-of-the-art radiation therapy protocols. Dr. Suppiah joined MRO in 2018. External Beam Radiotherapy: Volumetric modulated arc therapy (VMAT), intensity-modulated radiotherapy (IMRT), three-dimensional conformal radiotherapy (3DCRT), Tomotherapy, Orthovoltage. Stereotactic Radiosurgery (SRS): Gamma Knife. Brachytherapy: Prostate seed implant (low dose-rate), gynecologic (high dose-rate, MR based), ocular (low dose-rate plaque). Simulation: CT-based, MR-based. Treatment Planning Systems: MIM, Monaco, XiO, Tomotherapy. Image-Guidance Systems and Motion Management: cone-beam CT, four dimensional CT (4D CT) for gated plans, CT-on-rails. 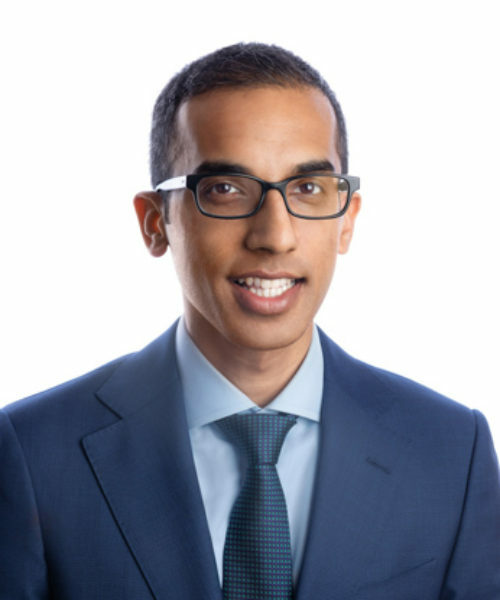 Dr. Suppiah’s interests include tennis, cycling, coffee, exploring new restaurants, farmer’s markets, orchestra, neuroscience, global health and economics, and current events. Case Western Reserve University‒Retrospective project correlating stereotactic radiosurgery dose and latent GI toxicity after SBRT for metastatic abdominopelvic gynecologic cancer. Washington University in St. Louis School of Medicine‒Performed experiments under Jianxin Bao, Ph.D. to determine whether over expression of Nrg-1 can delay presbycusis. 5/2008 – 5/2009: Summer Undergraduate Research Program at Emory University (SURE Fellow). Research under Subhabrata Sanyal Ph.D. in the Department of Cell Biology, Emory University School of Medicine. Assessed the effects of the transcription factor Adf-1 in regulating dendritic plasticity in Drosophila. Poster received 3rd place in competition. Worked with pharmacological and physiological sciences professor Dr. Michael Panneton. Studied the mammalian diving response to elucidate the brainstem circuit involved.